The use of tiles are storming interior design this year. 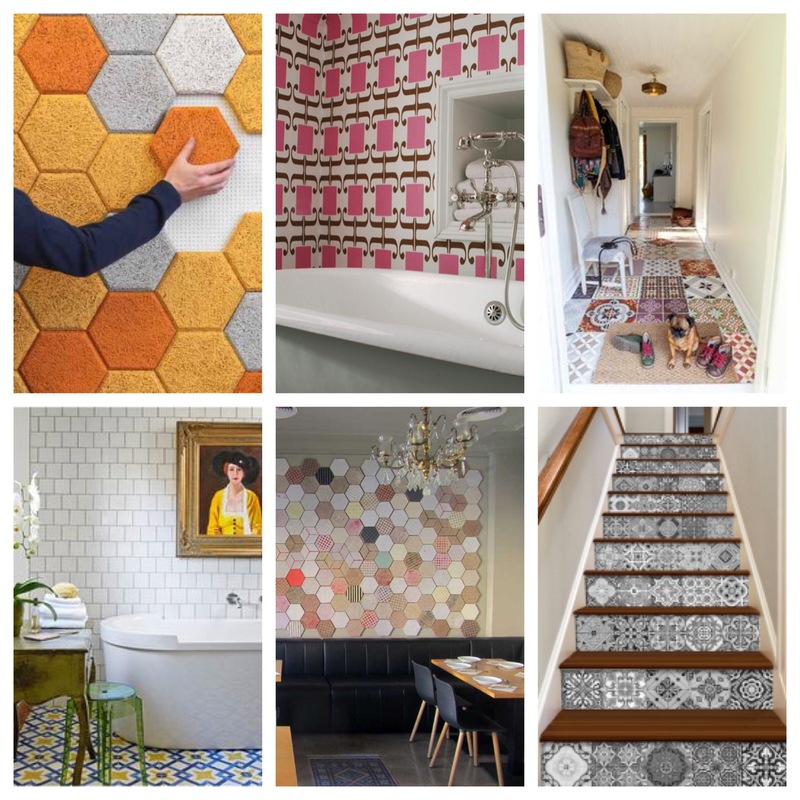 It’s about thinking outside the box with both designs, patterns but also where to use tiles. Not just for the bathroom walls or a hallway floor, but bring a cool design feature to a bedroom with a tiled back drop to a bed, to a lounge with a feature wall or even for function use on hallway walls to help with the marks and wear from heavy traffic through this busy room. Explore high street stores like Topstiles, Habitat, Homebase and B&Q ; and online retailers including Zazous and The London Tile Co for affordable tiles. Mix patterned tiles with plain, square with oblong and play with size and shape with hexagon shaped tiles, large scale tiles and mosaics. We found great inspirational imagery from House & Garden and some gorgeous ideas from Grand Designs. 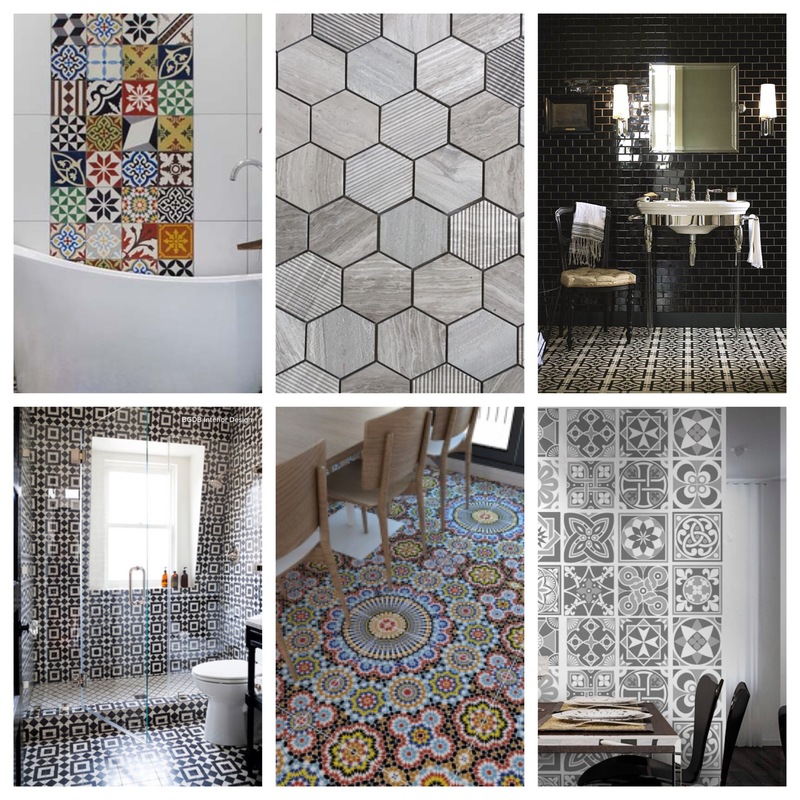 You can also explore the vinyl tile market with modern brands including Zazous and Amtico producing up to date designs in vinyl that is hard wearing, easy to lay and with very competitive pricing compared to porcelain or ceramic tiles. Be bold with pattern or play safe with neutral tones and then over lay with rugs to bring pattern and interest to an interior. Tiles are hard wearing and functional. Use instead of carpet or wall paper as a great alternative.